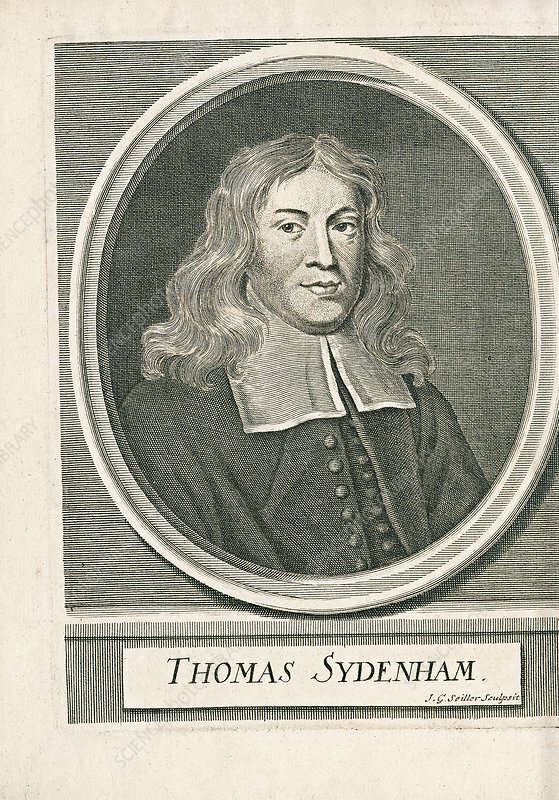 Thomas Sydenham (1624-1689), English physician and epidemiologist. Sydenham was the first to describe measles, scarlet fever and Sydenham's chorea. He pioneered the use of quinine to treat malaria, iron compounds for anaemia and opium to provide pain relief. His reputation as the English Hippocrates is based upon his belief that careful observations of symptoms and patients are more useful than acting on abstract speculations. In 1676 he published his studies in the book 'Observationes medicae'. This engraving is by Johann Georg Seiller (1663-1740), with this copy published in 'Opera medica' (1757), a collected edition of his writings.